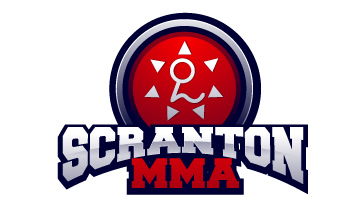 Today I wanted to share a video with you that we recently shot at Scranton MMA. We had the opportunity to film some really well produced videos so I hope you enjoy them. This first video shows a great takedown that you can use in Judo, BJJ and even MMA. So I want to talk a bit more about the throw starting with the set up. It is very important to make sure you are in an opposite stance when you execute this throw. Now I demonstrate this start to finish from an opposite stance but I did want to mention that I train with a great Judo / BJJ player who was able to throw me and many other people with this throw starting with a same sided stance and then switching to an opposite stance as he trapped the arm. Might be a bit more risky but again he did throw a lot of good players with that version. I like the opposite stance from start to finish because many good players will grab your lapel when you are in that situation so you do not need to bait them into grabbing the lapel. Now if you do need to bait them a bit here are some tips. First control the distance and what your partner can grab. You want to make it difficult for them to grab your sleeve so you might need to break that grip or slap it away. At the same time you dont want them to be able to grab your neck or back so you need to defend that and again control the space between you and your partner. Next is the ‘grip’ make sure you get lots of practice with the motion and securing that arm. I love doing this almost as a fake grip break or even better after a failed grip break. It starts elbow down then elbow straight up and then elbow to elbow. Keep that arm and wrist trapped and secured. To me once you got a good grip on that arm you are in a great position to get the takedown. Again make sure you rep it out in practice and try it during randori or sparring a lot. You want to figure out what is working and what needs improvement. The last detail to remember is the finishing position. I love using throws and takdeowns as a means of passing the guard. With this throw if you remember to bring your opposite hand behind their lead leg and use it to control their hips you will end up in a great position. You will be past their guard and you will make it very difficult for them to try to recover guard. Here are a few more tips about adding this throw to your game. Again remember this throw is best used as soon as your opponent grips your gi. Maybe its the first thing you do in the match or maybe you do it later in the match but try to do it right as they grip before they get settled in. Work on really securing and trapping that arm. Don’t shortcut the movement. Start elbow down and go elbow up and then end elbow to elbow. Try to keep your grip on the wrist or by the gi the entire time. Try to keep your posture as best as you can the entire time. Focus on looking up and keeping your back straight. This will let you move quickly and have a lot of power in your movement. Last but not least focus on controlling the final position and the transition. You want to end in a dominant position you do not want to go through all of this hard work just to end up in their guard! I hope you enjoy the video. Please let me know if you have any questions.